Many people tend to constantly complain about the overall cost of living. Whether they live in the U.S. or even Canada, there is no doubt that prices are always rising. Every minute that you turn around, another food product or utility bill is skyrocketing in price. But is it really that expensive to live in the United States or Canada? Let's take a look at the 5 most expensive cities to live in. You may think that rents are high in New York City or even Chicago, but you should see what they are in Tokyo. The average rent for a two bedroom apartment is at least $5,000 per month. An unfurnished, 2-bedroom luxury apartment in Tokyo costs an average of approximately $4,850 per month. A similar apartment in New York would cost about $4,200 per month. So why is Tokyo such an expensive city to live in? You have to remember that Japanese salaries are typically high because of the competitive industries the city it has to offer, and that the average Japanese standard of living ranks among the highest in the world. This is mainly because of the strength of the yen against the dollar. 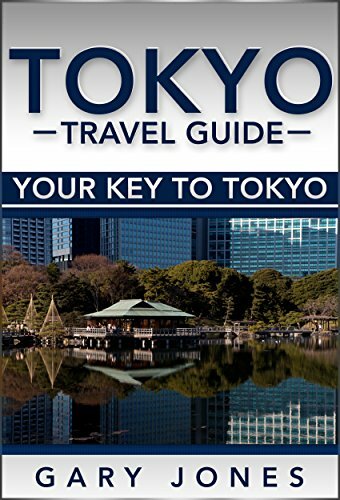 Particularly in Tokyo, it is easy to find good deals on meals, going to the movies and other forms of entertainment. In some cases eating out can even work out cheaper than cooking at home if you don't mind a frequent diet of noodles. It is also recommended to check out the basement floors of most department stores. Usually there are food courts selling goods at fairly reasonable prices. Oslo and Copenhagen come pretty close, but Oslo is still more expensive to live in. Norway is known to be a safe haven for investors. Furthermore, Norway has a strong economy which is tied to the energy sector, banking, and fishing. While the price of a hamburger is about 65% higher than in would be in the United States or Canada, the GDP per person is a little more than double than that in the United States. Furthermore, the per-capita economic output is twice that of the United States. In other words, the Norwegian government spreads the wealth throughout society more than other western countries. Typically, wage levels are very high, but disparities in income are smaller than in the United States. In other words, the person who sells you a hamburger in Oslo actually earns a living wage. High wages are prevalent and do force the overall prices of products up. But high wages are also common in education and other areas of the public sector, especially the energy sector. The overall cost of living in Oslo is comparable to Tokyo, the only difference is that Norway has many more natural resources than Japan, and many individuals see that as a major plus. Nagoya is responsible for nearly 45 percent of all automobiles produced in Japan. Nagoya has been a manufacturing city for decades and was the target of U.S. air raids during World War II. The population of Nagoya at this time was estimated to be 1.5 million, and is now around 2.5 million. The Nagoya area produced and still does produce heavy machinery, railway equipment, metal alloys, motor vehicles, and processed foods. After the war, billions of dollars were invested into Nagoya in an attempt to bring back a major industrial hub to the overall Japanese economy. Today, the city of Nagoya is a manufacturing hub well known for its high cost of living. Stavanger is known as Norway’s petroleum capital. Food prices are roughly 50 percent higher than the European average. In Stavanger, it is not uncommon for a can of soda to cost a little over $3. Other items including clothing, public transportation, and entertainment are also pretty pricey. Again, you have to remember that most people living in Stavanger most likely are employed in the rapidly growing energy sector of Norway. Geneva has a population of around 500,000 people. Geneva is known for its banking sector, manufacturing of high-quality goods, and many international organizations. The price of consumer goods are 50 percent higher than the rest of Europe and electronics/appliances cost more than almost anywhere else in the world. In Geneva, taxes are fairly low, but other costs including insurance and the cost of owning a vehicle is extremely high. The prices of rents are also through the roof. However, Geneva offers many outdoor activities including world renowned skiing facilities. If an individual has the ability to find employment in one of Geneva's fast growing industries they will most likely have a magnificent time living here, despite the high cost of living. I didn't realize Norway was so expensive. I would have guessed cities like London and Paris were more expensive. Thanks for an interesting read. No problem. True, it is interesting how some of the Northern European countries can be so pricey. Donald Richie Tokyo Megacity. New York: Tuttle Publishing, 2014.